I have setup an Apache web server on CentOS Linux. How do I configure firewall to allow or block access? 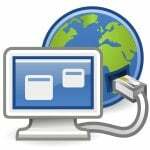 How do I setup firewall for a web server under RHEL or CentOS Linux v6.x or 7.x? The default iptables configuration on a CentOS or RHEL does not allow access to the HTTP (TCP PORT # 80) and HTTPS (TCP PORT # 443) ports used by the Apache (or Nginx) web server. 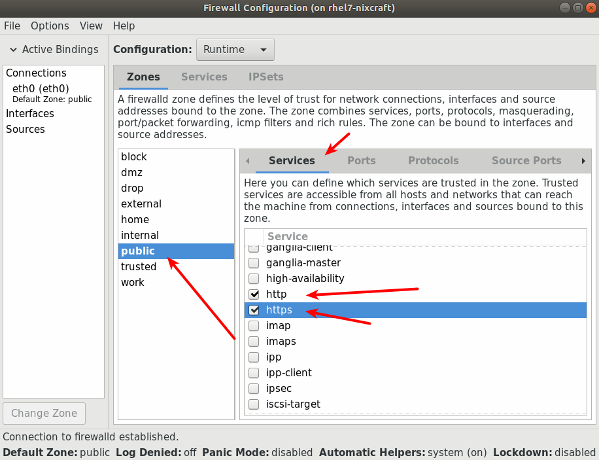 You need to open those ports using iptables based firewall on a RHEL/CentOS Linux 6.x. 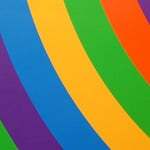 /etc/sysconfig/iptables : Edit this file to allow or deny access to the Apache Web Server IPv4. You also need to edit the /etc/sysconfig/ip6tables file to allow or deny access to the Apache Web Server IPv6 ports. 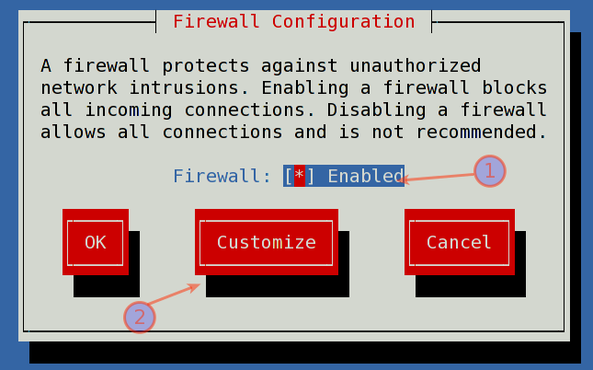 system-config-firewall-tui command (runs on ssh text based session) or system-config-firewall command (run on GUI based session) : This is a graphical user interface for setting basic firewall rules. This tool will always overwrite /etc/sysconfig/iptables file. /sbin/iptables command : Use iptables command directly to modify/append/add firewall rules. 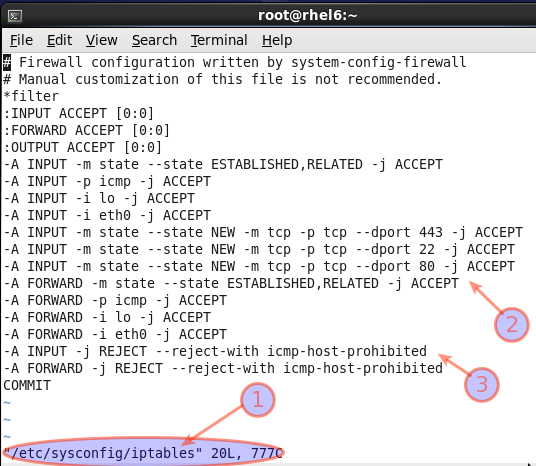 The rules can be saved to /etc/sysconfig/iptables file with /sbin/service iptables save command. /usr/sbin/lokkit command : This is a basic firewall configuration tool, designed for ease of use and configuration. This tool also supports SELinux config option. This tool is considered as deprecated and not covered in this faq. If you are using a RHEL/CentoS version 7.x, see the note at the end of this page on firewall-cmd. Scroll down/up and select SSH, WWW, Secure WWW (HTTPS) and other required ports you wish to open. Finally, select Close button. Finally, press OK button to activate new firewall settings. You need to use the firewall-cmd command. 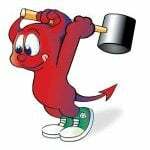 firewall-cmd is the command line client of the firewalld (a dynamically managed firewall with support for network/firewall zones) daemon. Personally, I prefer to use fwbuilder to create iptables rules. It’s very intuitive in its use and has some decent templates to start a rulebase from. In my machine there are 2 ws (web services) which can be accessed from any PC connected to in the same network (wifi for example) .. so i have to install iptables on the machine to prevent any call web services from outside my station. what are the rules should i configure iptables with ? How can i protect a port which is always open ? 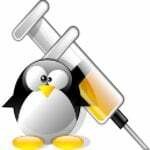 Am trying to grasp the security for Linux/Centos. I think this one is a big step for me.